Emerald is a C++ OpenGL geometry viewer that uses the Qt GUI toolkit. 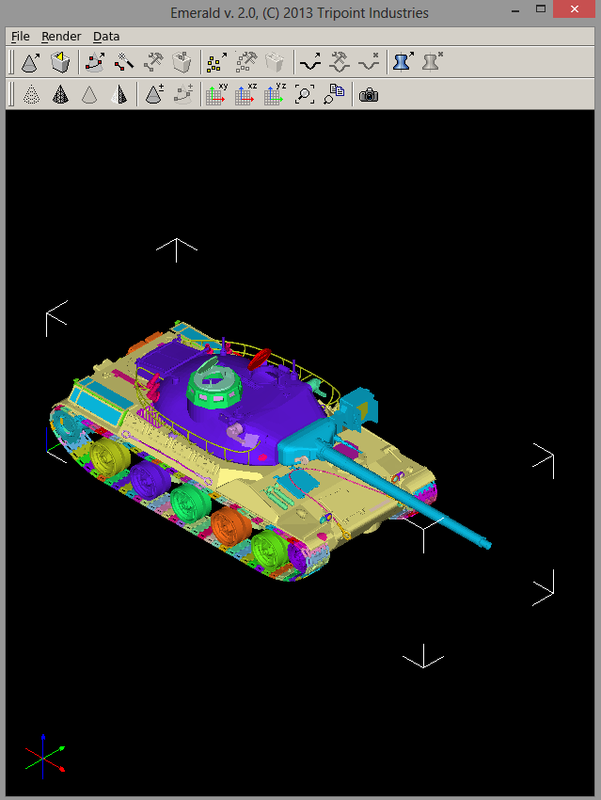 It allows the user to interact with their target geometry files for visual inspection, as well as create images suitable for integration into reports or presentations. Executables of Emerald are available below for Linux and Windows. They are supplied as-is, without warranty or guarantee. If you use this viewer and find it useful, please let us know. This executable was compiled for Ubuntu Linux 12.04 (LTS) and requires Qt4. The Qt4 installer can be downloaded here.